by Preston C. Regehr, Esq. 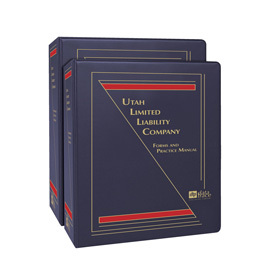 Prominent Utah attorney, Preston C. Regehr, has drawn from his extensive experience to bring you strategies and forms for virtually every situation you may encounter in this two-volume Manual featuring a bonus CD with more than 230 electronic forms. 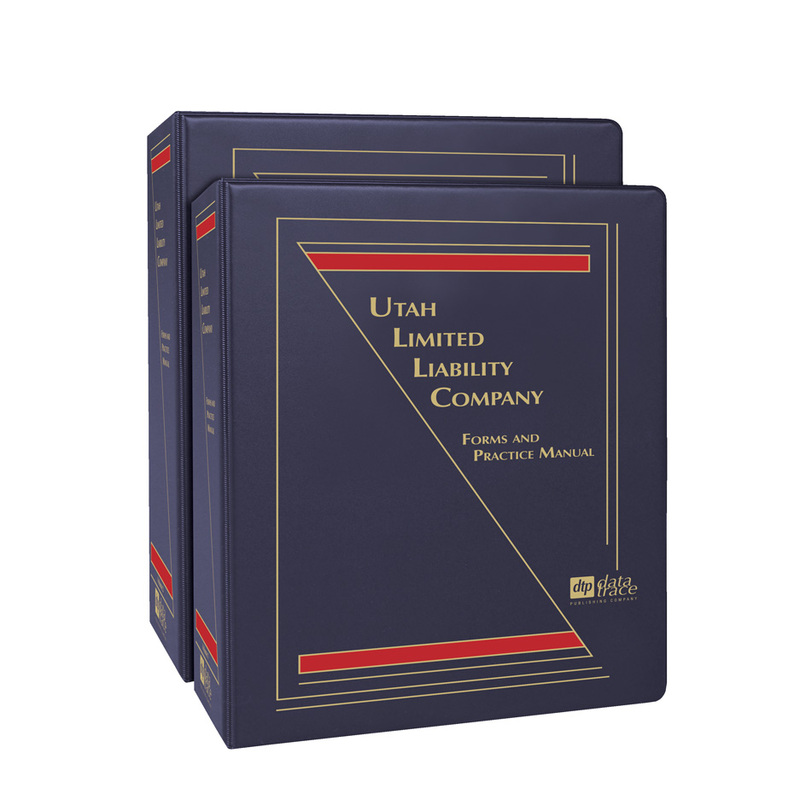 This Manual, with its more than 1,135 pages of valuable content, will provide you with appropriate statutes and regulations — complemented by thorough discussions and analyses of any changing federal and Utah state laws. Plus, you'll be expertly guided through an extensive selection of appropriate LLC forms using an easy-to-follow format. Included are customizable electronic forms as well as explanations and planning strategies for the LLC business structure. Preston C. Regehr is a lawyer and founder (in 2006) of TechLaw Ventures, PLLC, a Venture and Technology Law firm. Before founding TechLaw Ventures, he was a shareholder of Utah’s two largest law firms in Salt Lake City, Parsons, Behle & Latimer, and prior to that, Van Cott, Bagley, Cornwall & McCarthy. His practice focuses on small and emerging companies, particularly in the technology industry. He is an expert on the intellectual property issue affecting LLC names and trademarks. His business law expertise, combined with his extensive practical experience, enable him to provide an invaluable manual for Utah practitioners.